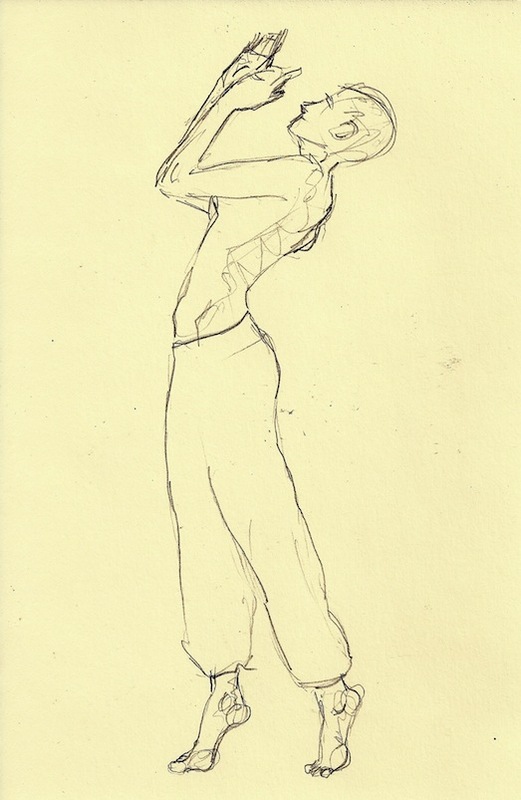 I had a request about how to draw a figure standing on tiptoe. 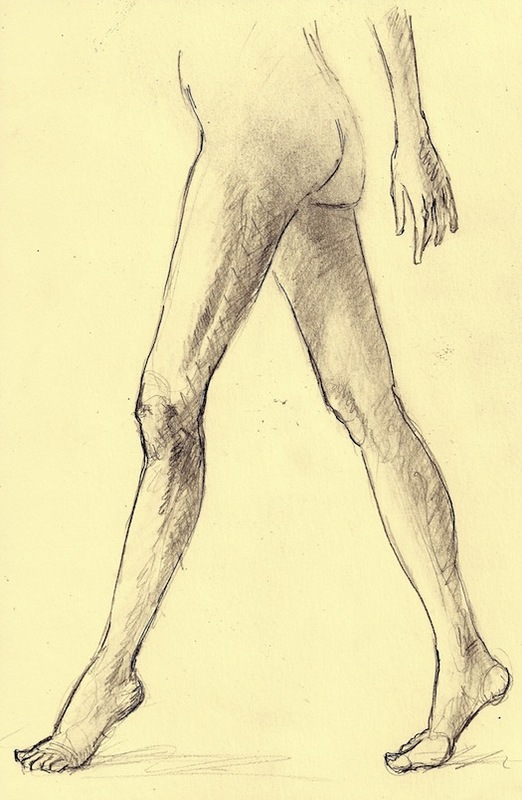 The drawing to the right shows the posture of a figure standing on tiptoe. 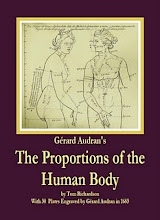 Notice the tension of the figure's muscles. In order to get up on the tips of the toes the muscles of the calves and thighs have to be tensed. 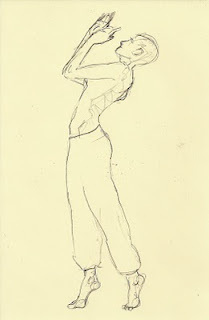 There is a natural inclination to lean the torso back slightly which is exaggerated in this figure because she has raised her arms and leaned her head back. The drawing comes from a photo, see it here. 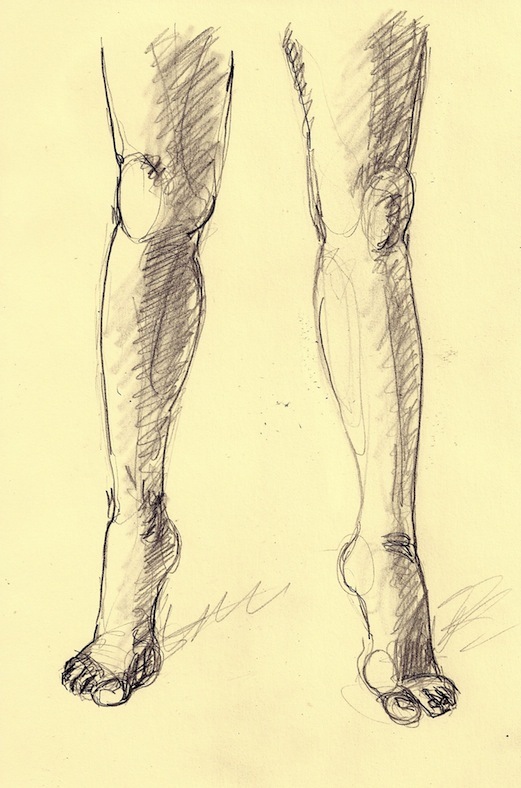 The drawings below also show the tension of the muscles in the leg. The first shows a man standing on tiptoe and the second a woman walking on tiptoe. You can see that in both of them the lower leg is thrust slightly forward which will cause the standing figure to lean backward slightly from the torso. 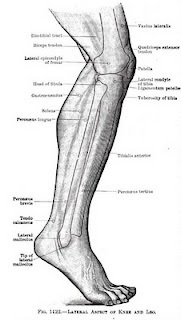 The gastrocnemius muscle at the back of the calf contracts, as does the biceps femoris at the back of the thigh. These two contractions cause the knee to bend slightly when a figure either stands of walks on tiptoe. Left, standing on tiptoe, right walking on tiptoe. More photos of people walking here. OK with me, thanks for the compliment.